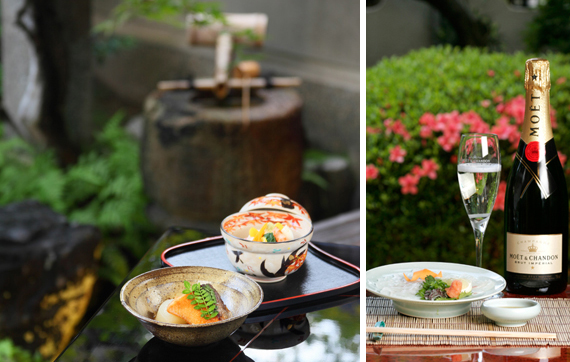 Seasonal Kyoto wild herbs and produce, seafood sourced directly from the Seto Inland Sea and Wakasa Bay, and freshwater fish from the streams that run into Lake Biwa. Our tempura is seasoned with salt and tsuyu sauce prepared using Endo’s very own exacting methods, and fried in premium cottonseed oil extracted from the finest cotton seeds. Cooked as lightly as possible to preserve the natural taste and flavor, the result is astonishingly light and healthy. 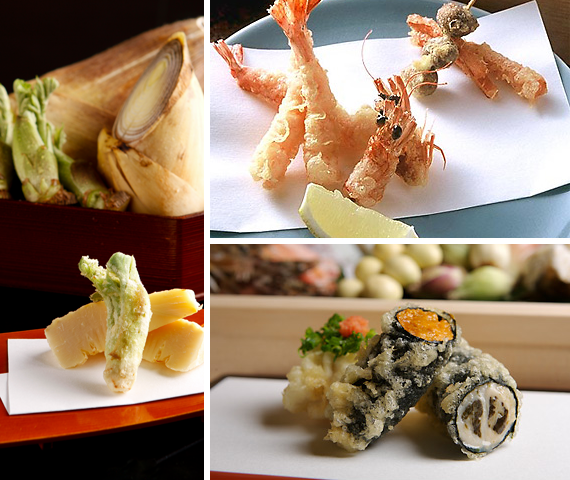 Our famous Kyoto-style tempura, made with a rich array of classic Kyoto ingredients, is astonishingly light and crispy. 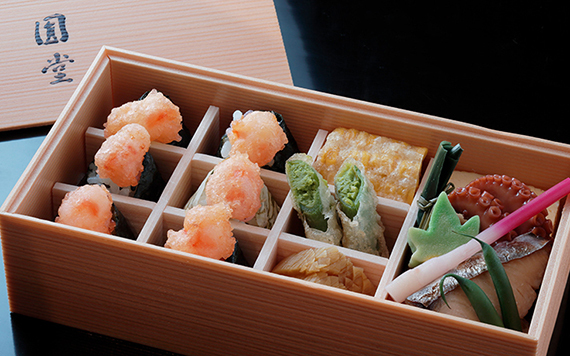 Famous Kyoto tempura featuring seafood like nori-wrapped sea urchin and live tiger prawn along with traditional Kyoto herbs, greens and root vegetables. 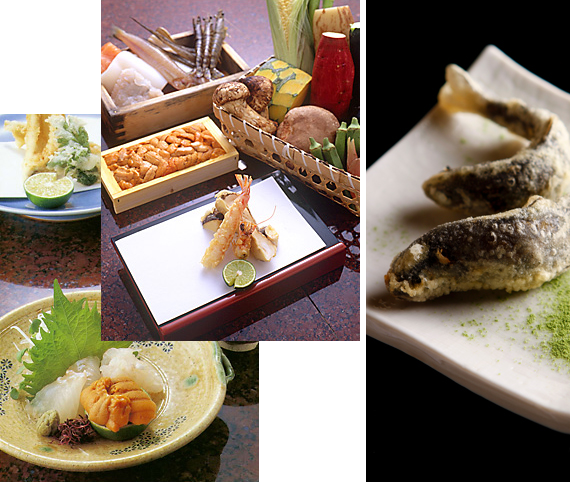 Start with a seasonal appetizer, followed by sashimi, a palate cleanser, a special salad, and a mini tendon (or tencha). hot pepper, corn, okra, Japanese ginger…. We offer a selection of wines, champagnes, sakes and shochus handpicked by Endo’s own sommeliers. KENZO ESTATE asatsuyu / U.S.A. 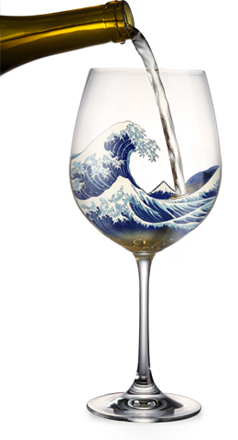 TEXT BOOK Chardonnay / U.S.A.
KENZO ESTATO rindo / U.S.A.
Vintages and prices may vary depending on availability. 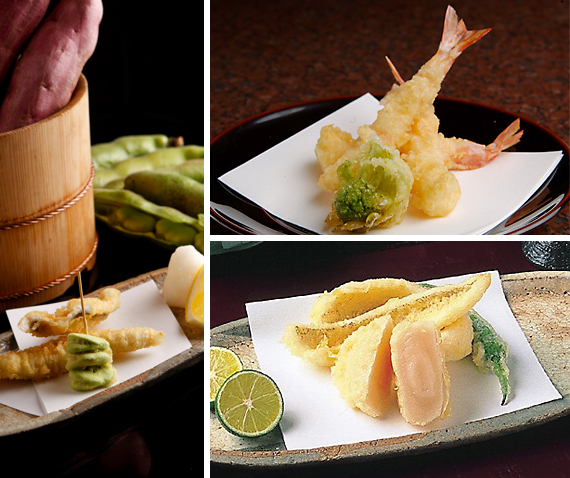 who have mastered the art of making tempura that stays light and crispy for hours. Perfect as a souvenir or gift, or even as a packed lunch for the theater or to take to friends or family in hospital. Three ten-musubi rice balls with freshly prepared shrimp tempura. 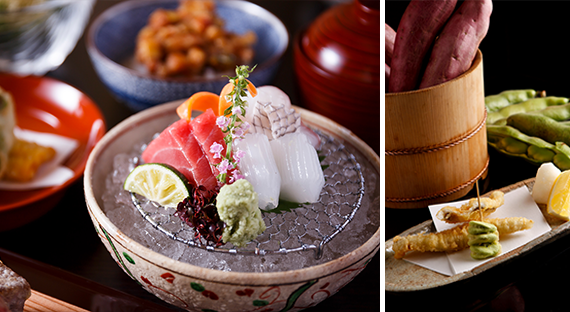 Each with a different flavor of rice: our famous kaeshi dontsuyu sauce, a light salt & sesame, and unique sesame. Three ten-musubi rice balls with freshly prepared shrimp tempura. 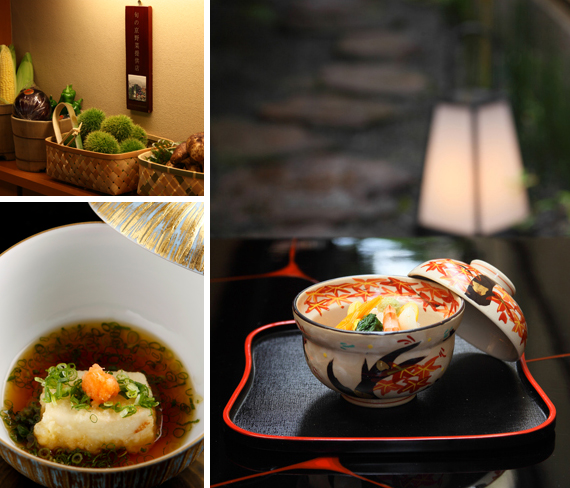 Each with a different flavor of rice: our famous kaeshi dontsuyu sauce, a light salt & sesame, and unique sesame. With a serving of Endo’s famous tempura on the side. 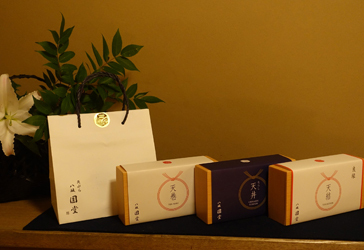 Twelve of Yasaka’s Endo’s popular tempuras packed into a small lunchbox. To add even more variety, a sheet of nori seaweed divides the rice into two layers – one seasoned with dontsuyu sauce, the other with salt & sesame. 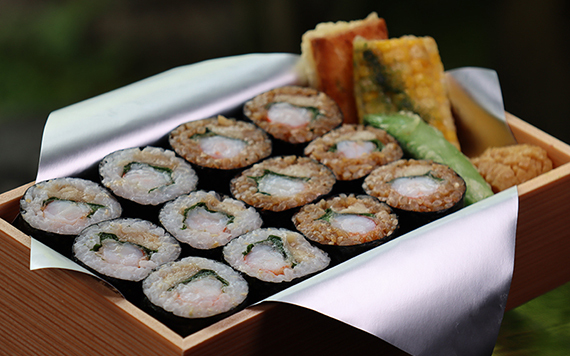 Little norimaki sushi rolls with freshly prepared shrimp tempura, broiled conger eel and mitsuba (Japanese parsley). 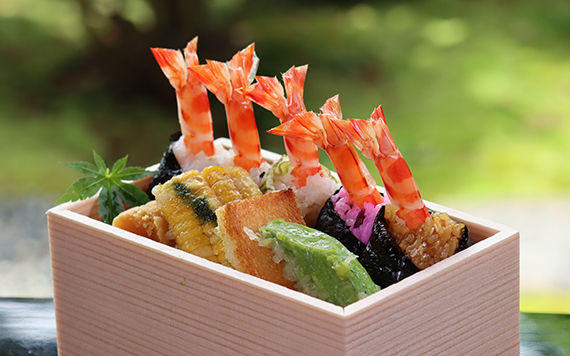 Each box contains two rolls, one seasoned with our flavorful kaeshi dontsuyu sauce, the other with our original salt & sesame seasoning. 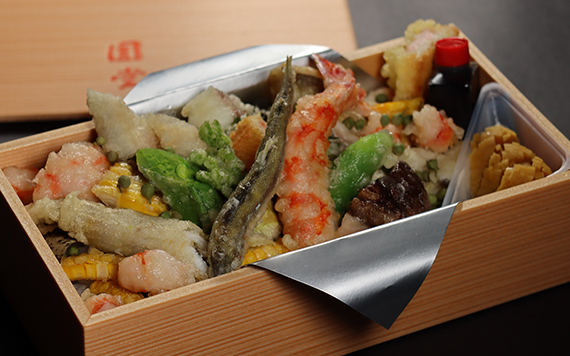 An unusual “soba tempura” lunchbox featuring fragrant inaka-soba and simmered conger eel, shredded omelet and Japanese herb mitsuba, all prepared to Gion Endo’s refined recipes, wrapped in toasted nori seaweed and shiso leaf. * Contact us in advance to request changes to the contents or quantities. * The pictures are just a guide. Actual contents may differ depending on the season and availability. Email / Click here to send an email inquiry. 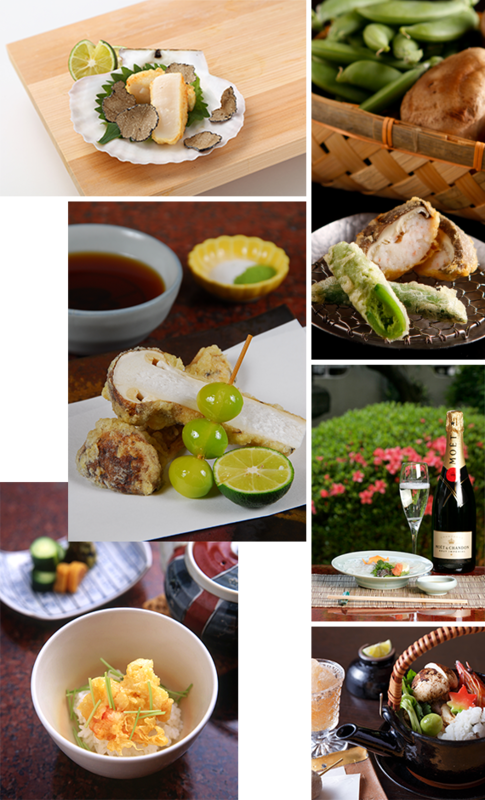 a casual meal at our tempura counter, a small get-together at our table seating, or a "Tempura Gathering", where we prepare our famous tempura fresh as guests watch on from a large banquet table. We cater to all kinds of get-togethers and banquets, from farewell/welcome parties to end-of-year and new year celebrations, business entertaining, pre-wedding get togethers and memorial service receptions.